Parents can enjoy Alexa's kid-friendly offerings, too. Saying smart speakers can do a lot is an understatement. From playing music to checking the weather to controlling smart home gadgets, speakers like Amazon’s Echo and Echo Dot can make life more convenient for the entire household. They’re also pretty fun to interact with, especially if you utilize the games and other entertaining activities that can be played and experienced using nothing but your voice. Fatherly shared a list of 10 Alexa skills that are perfect for kids. These activities can help kids learn, or just have fun. Some of our favorite skills on Fatherly’s list are Question of the Day, a trivia game that tests players’ knowledge about a variety of subjects, like science and literature, and Short Bedtime Story, which adds your child’s name to stories that can be played at bedtime (or anytime). 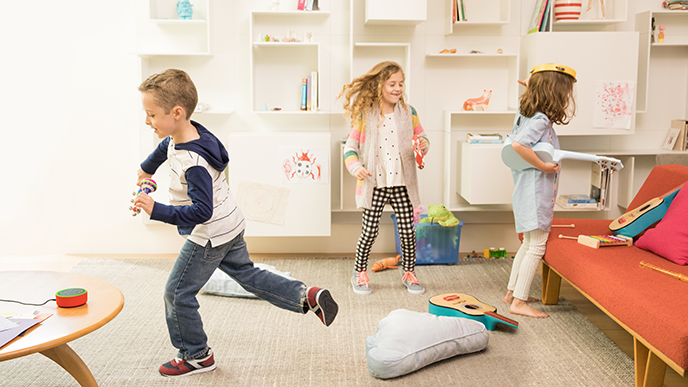 With thousands of skills available on the Alexa platform, there are way more kid-friendly options than the ones highlighted. Amazon also offers a special Kids Edition of its Echo Dot speaker that lets little ones enjoy these skills on a version of the device made just for them. Check out the Alexa skills storefront if you want to find more activities and games for your kids. You may even find some skills you want to use yourself.